There is a certain way of living on islands. People who dwell on them understand this. They choose a different kind of existence that involves unique modes of travel and the need to plan trips, stock supplies and check the weather. Things that people who live off-island don’t need to consider because they can just hop in their vehicle or turn on their computer and get what they need. 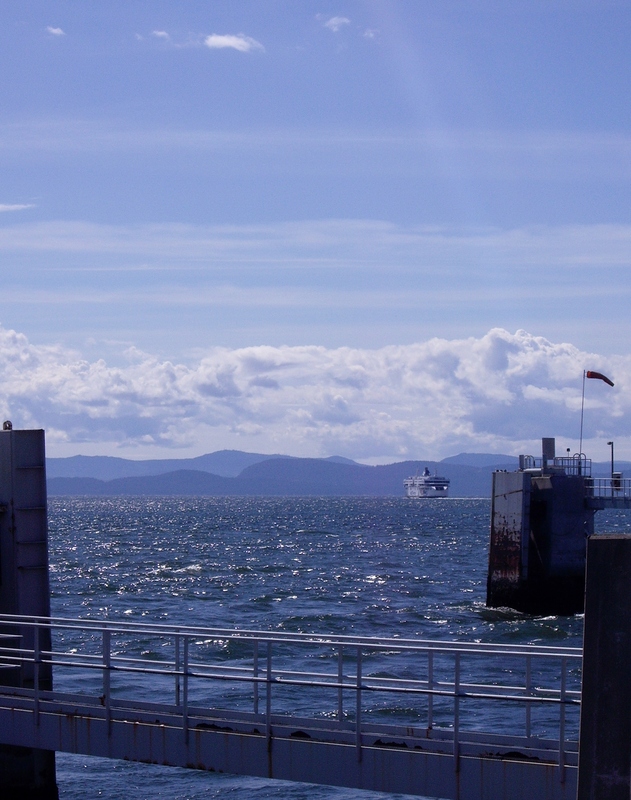 On-island, epic stories abound about barely catching or barely missing ferries. Islanders never tire of hearing and telling those stories. Walking around Ganges, on Salt Spring Island, creates a different mindset. People smile back when you smile at them. Islanders take the time to say hello to each other and chat a bit … “How are you? Good to see you. Is your dog doing better? Have your kids been to visit lately?” A parked car has a copy of Rumi’s love poems tucked in the corner of the dash. On the sidewalks, very few are looking at cell phones. At the crosswalk, vehicles are likely to stop as adults, kids, bikes and dogs flow south to the coffee shop or north to the grocery store. We wander around, then sit on a bench eating ice cream, three thrilled kids with their nana, great auntie and great granddad, watching the village pulse by. I dash across the lane to get a photo of the family bench and within seconds three generations are doing what they love best … making goofy faces for the camera. At home my sister scans the Salt Spring Exchange – a local online mostly free listing of mostly everything. From homes for sale (paid ads) to lost pets (free ads), it reflects Gulf Island living. One ad made the sad announcement that a dead cat had been found but looked so well loved that perhaps the family would want to know what happened. Another ad offered a photo of a rather scuffed-up pair of shoes for $50, Only Worn Twice!! In the Rants and Roses section, a chicken owner thanked passersby for chasing her frolicking fowl off the road. That truly is free range. 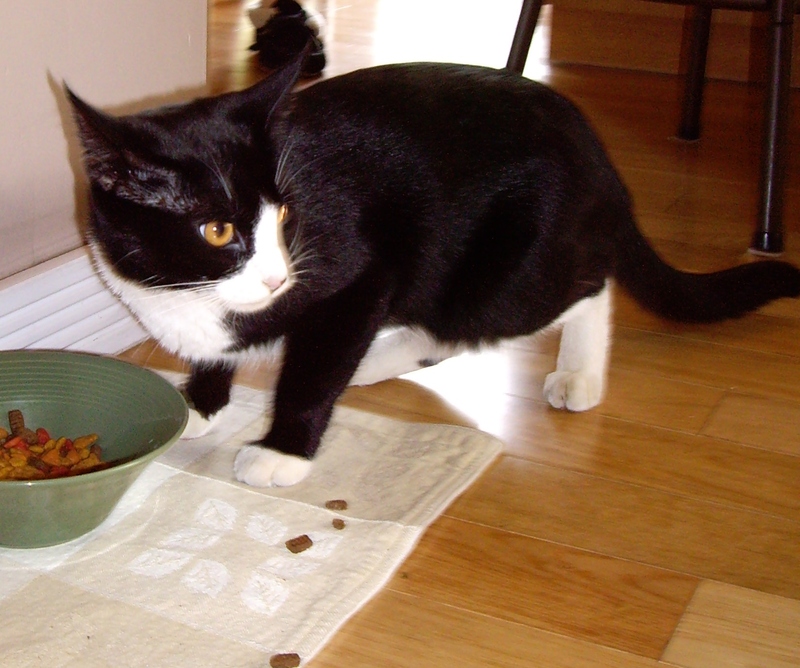 We post our own photo of a wandering tuxedo kitty found raiding Pebbles the cat’s bowl of kibble. No calls as yet. Tuxedoed marauder hits the kibble bowl. 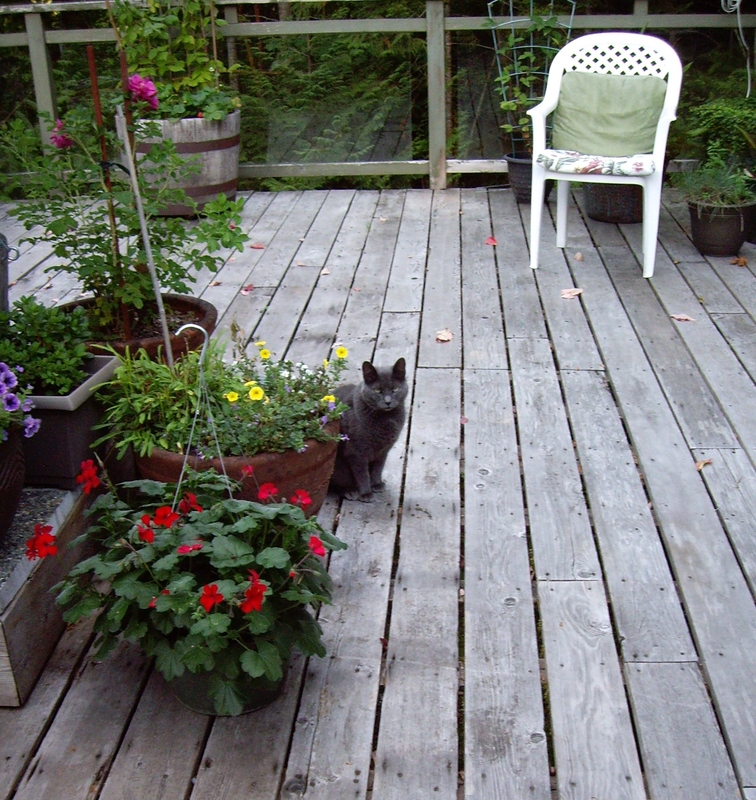 Meanwhile, Pebbles the family cat was lounging on her bed, later to emerge on the deck apparently unconcerned about the interloper. Pebbles the cat considers her options.